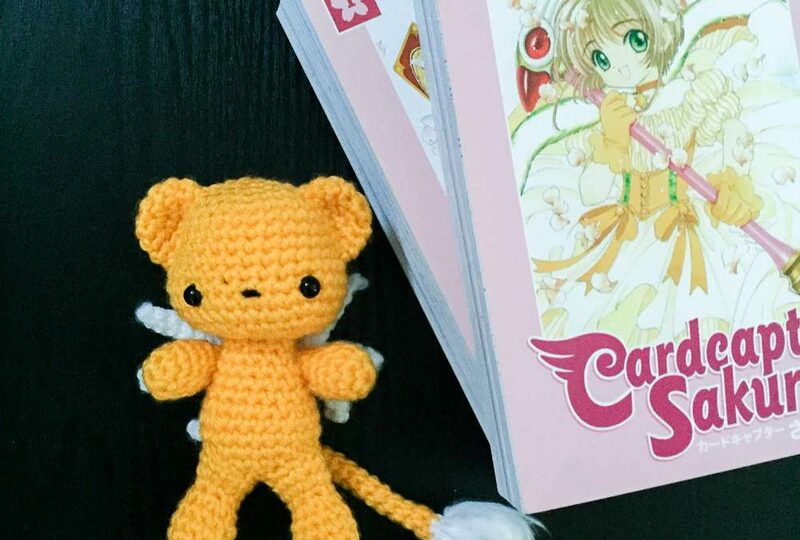 Kero from Cardcaptor Sakura is bossy and gluttonous but oh so adorable. 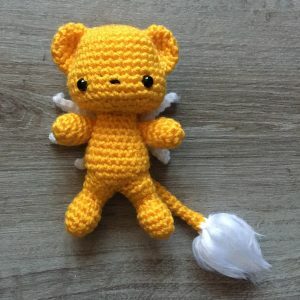 Crochet your own little guardian of the Clow Cards in his false form. 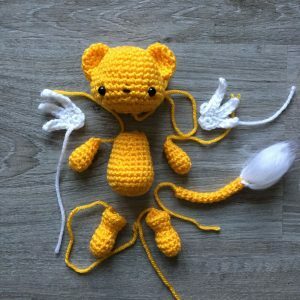 Sew ears onto the head. Insert safety eyes 9 rows from the top and about 6 stitches apart. 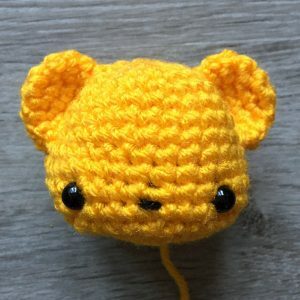 Embroider the nose with a short strand of black yarn. The right wing is worked in rows. Finish with a sl st into the edge stitch of R1. 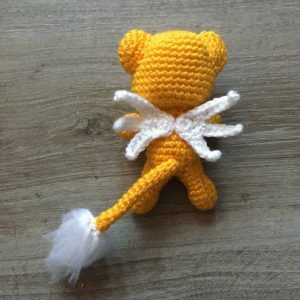 Leave a long tail for sewing. The left wing is worked in rows. 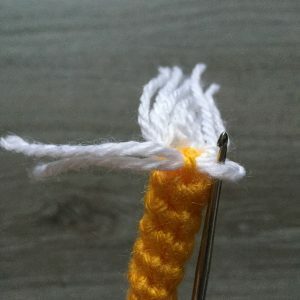 Cut strands of white yarn about 4 inches (~10 cm) long and attach them to the end of the tail using a latch hook method. 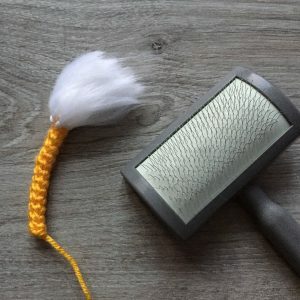 Using a pet slicker, brush out the white yarn to create the fluff on the tail.